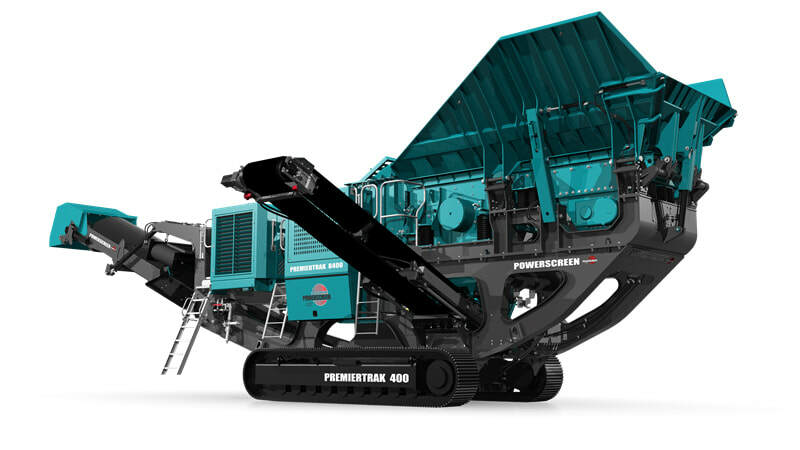 The Powerscreen Premiertrak 400 and R400, high performance jaw crushing plants, are built for midsized operators in demolition, recycling, mining and quarrying applications. The range includes the Premiertrak R400 with hydraulic release and the Premiertrak 400 with hydraulic adjust. Benefits include hydraulic crusher setting adjustment for complete control of product size and crusher protection to prevent damage by uncrushable objects, and track mobility for rapid setup.